It’s 1989, the Berlin Wall is coming down, and Kate has just graduated from Yale, eager to pursue her dreams as a fledgling painter. When she receives a job offer to work as the assistant to Lydia Schell, a famous American photographer in Paris, she immediately accepts. It’s a chance not only to be at the center of it all, but also to return to France for the first time since she was a lonely nine-year-old girl, sent to the outskirts of Paris to live with cousins while her father was dying. Kate may speak fluent French, but she arrives at the Schell household in the fashionable Sixth Arrondissement both dazzled and wildly impressionable. She finds herself surrounded by a seductive cast of characters, including the bright, pretentious Schells, with whom she boards, and their assortment of famous friends; Kate’s own flamboyant cousin; a fellow Yalie who seems to have it all figured out; and a bande of independently wealthy young men with royal lineage. 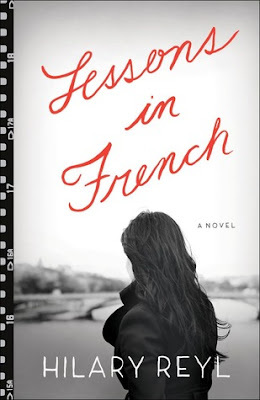 As Kate rediscovers Paris and her roots there, while trying to fit into Lydia’s glamorous and complicated family, she begins to question the kindness of the people to whom she is so drawn as well as her own motives for wanting them to love her. This is one of the most interesting books I've read in a long time. It's not a YA fiction, which was a change of pace for me, it's more of a memoir. The story is extremely accessible and will appeal to anyone in their late teens/early twenties, in those "coming of age/finding yourself" years. The struggle of the main character, Kate, as she comes into her own, reconciles her life and family and discovers who she wants to be is very realistic and makes for a well-paced, very well-told story. And it's all set in Paris, and who can go wrong with Paris? Pain Au Chocolate! Crepes! Butter! Le sigh. Culinary drooling over. (This book is not really about the food.) The setting of the plot firmly in the eighties is a huge win for this book. The details (fashion, jewelery, the rise of certain diseases, etc) are perfect and Kate's employers are the perfect type of eccentric/crazy people to offset the issues of the day (fall of the Berlin wall) and "intellectual" world Kate is trying to break into. I'm really happy with this book. I love that Kate didn't take the easy way out, not ever. I'm glad that life and her decisions didn't come easy. Because that whole phase of life when you figure yourself out is full of large, difficult, unsettling decisions. Not that Kate's experience was bad, it was probably the best thing she could have done, and the best things in life are often on the far side of difficult times. this book sounds like just what I need. I'm having a bit of an expat mid-life crisis. I'm sure this will shake me up a bit. I've been craving a travelogue/memoir too. All I had to see was that it was set in Paris and I was sold on checking out this book. I think it sounds like a very interesting book, and I love that it's sort of a memoir.